I AM happy to assure people (Letters, 5/12) that 1000 homes will certainly not be acquired for the WestLink project. The Government recently announced a $10 million study to work with the community to develop the best location for the tunnel and road. We’ll be doing a lot of work to ensure we minimise the impact on residential properties – even at this early stage we know the figure will be significantly less than 1000, and less than even half that number. So it rather sounds like around 400-500 homes will be sacrificed to the road-building gods, should the government push ahead with WestLink. Taking traffic off local roads and on to freeways will help ensure that areas such as Footscray and Seddon are safer, cleaner and more attractive places to live. This was the experience with the CityLink and EastLink tunnels and we see no reason why the west should not be entitled to the same benefit from such valuable projects. Ah yes. 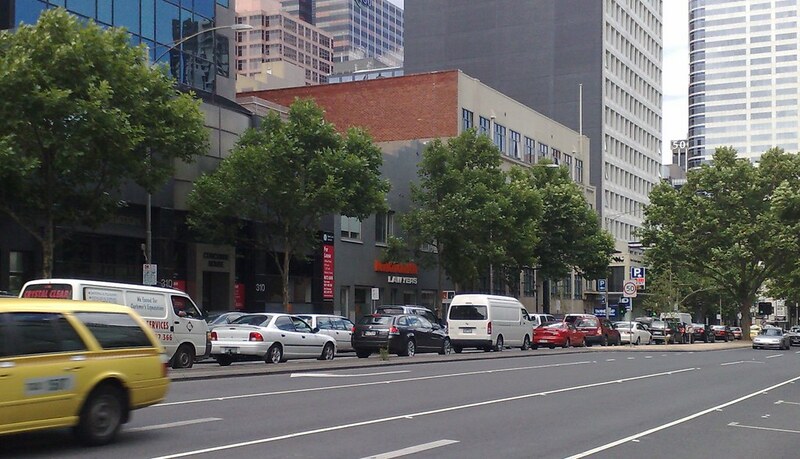 Thank goodness the construction of Citylink in the 90s means King Street never gets congested anymore. And as you can see, having rid itself of all that traffic, that area of the city is so attractive. See also: If it’s meant to be for trucks to get to the port, why does the literature show cars going to the City?